Since its inception, the ISH New Investigator Committee (NIC) has organised and run annual meetings, free attendance for new investigators and ISH members. 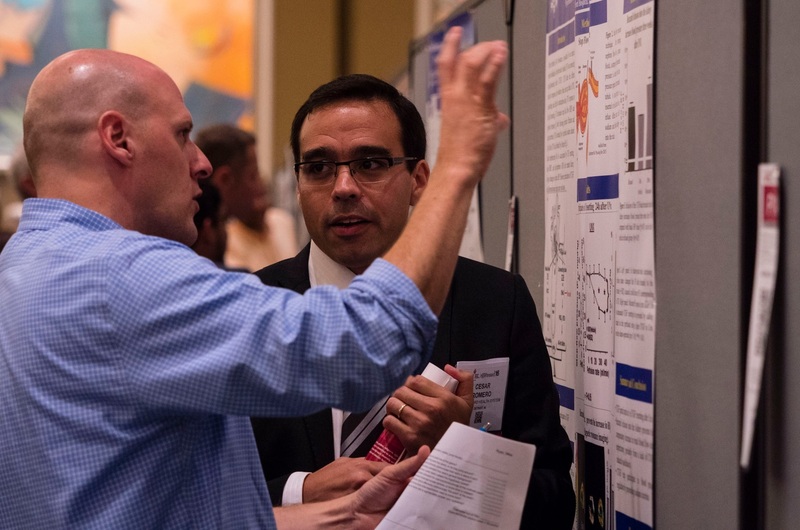 These events bring together new investigators from around the globe to present ground-breaking cardiovascular research, share ideas, develop collaborations, interact and build relationships across disciplines and continents. The ISH held a very successful New Investigator Symposium on 6th October as part of the Asia Pacific Society of Hypertension (APSH) meeting. Attended by over 70 people from nearly 20 countries, a keynote lecture was given by Professor Mark Caulfield from Queen Mary University, London, UK and Oral and Poster Presentation Awards were presented on this occasion. The ISH New Investigator Committee was pleased to co-sponsor the Early Career Oral Award Session along with the Trainee Advocacy Committee of the AHA Hypertension Council at the AHA San Francisco meeting. A new investigator meeting programme was integrated into the ISH Seoul 2016 Scientific Meeting programme. We invite you to read a number of reports submitted by ISH hypertension future leaders focusing on their personal meeting experiences and the standout sessions that they attended. Since 2011 the ISH New Investigator Committee has partnered with the Trainee Advocacy Committee of the American Heart Association Hypertension Council in promoting new investigator activities at the AHA Hypertension Council Scientific Sessions. Read a report of this year’s collaboration. The ISH New Investigator Committee was pleased to collaborate with the Trainee Advocacy Committee of the Council on Hypertension of the American Heart Association (AHA) at the time of their 2015 Scientific Sessions. This event took place in collaboration with the Council for High Blood Pressure Research (HBPR) of the American Heart Association (AHA) at the time of their 2014 Scientific Sessions. New Orleans hosted the 3rd ISH New Investigators' Symposium on Hypertension and Cardiovascular Disease at the Marriott Hotel on the 10th of September, 2013. The 2nd ISH New Investigators’ Symposium - for new investigators by new investigators, took place on 29th September 2012, at the historic University of Sydney campus as a satellite meeting of ISH. The High Blood Pressure Research 2011 Scientific Sessions, jointly sponsored by the Inter-American Society of Hypertension (IASH), the American Heart Association’s Council for High Blood Pressure Research and the Council on Kidney in Cardiovascular Disease conference was held during September 20-24, 2011 in Orlando, Florida, USA; to bridge basic and translational hypertension research in the Americas.